What's the difference between this kit and SKU ending in 0249? Is it just the rail? If so can it be switched? 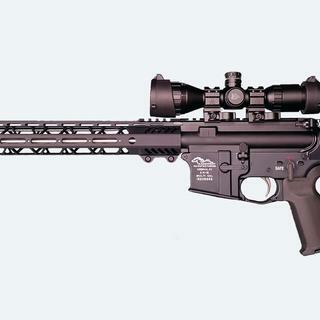 BEST ANSWER: Will this rifle fire 5.56? I want get this kit, but would rather have the black barrel instead of stainless? BEST ANSWER: Really want this but in BLACK BARREL is there a SKU for BLACK? You could paint the stainless barrel black with a heat resistant paint (engine paint) and get all the stainless goodness and still maintain the corrosion resistance as well. I would like to buy this without the sight as well.. Is it available? Can I buy this kit without the sights? BEST ANSWER: I want this, but I want the black barrel instead of the stainless. Is this possible to get the black barrel. Do you prefire or try out the uppers with live ammo before you sell them? BEST ANSWER: Thank you for contacting Palmetto State Armory. All of our upper receivers are test fired prior to leaving the facility. Should you have any issues with your firearm, ever, all of our firearms are protected with our "American Made, For Life" Lifetime Guarantee. is this a heavy barrel, stamped hbar, heavy etc ? BEST ANSWER: Being a "A-2" profile, it is thinner between the receiver and the gas block, then thicker towards the flash hider. Sometimes referred to as a "government profile", I believe it was designed for good accuracy without the heavier weight of a heavy barrel, or "H-BAR" profile. BEST ANSWER: As this is an M-LOK hand guard, yes you can by purchasing any of the various items available from numerous manufacturers. Magpul makes both aluminum and polymer units in varying length. Good deal, a few of the parts in the kit a bit rough. For the price, it's a great deal. My only complaint is the finish on some of the parts in the lower parts kit. They seemed to have a rougher finish on them than I would like. While they did work, they are not as smooth as others I've used. The detents are needing some break-in time, but all in all, it's a great value and I am happy. 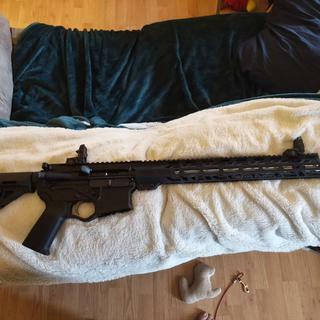 Out of the box I had a very difficult time getting the upper to mount to a PSA lower. The takedown pins would not fit through the upper. Low profile gas block was canted but that was easy to fix. Giving 3 stars because of those issues. Everything else was fine. I am happy with the way she shoots now and for the price I'd say this was a good deal. My first built and it was pretty easy to assemble. 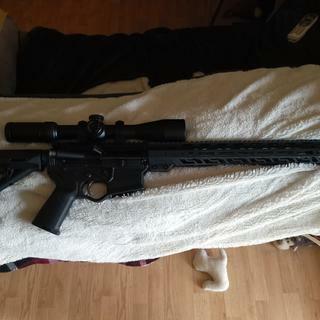 I changed the muzzle brake and added the Hera CQR front grip..Looking forward taking this to the range!! Absolutely flawless kit, no problems building it on an ati hibryd lower. Ordered it on a Thursday and it arrived on Wednesday. Can't say anything negative. Mated this upper to a PSA stripped lower and the outcome was wonderful. This is the third kit bought from PSA all having the same handguard which I really like. 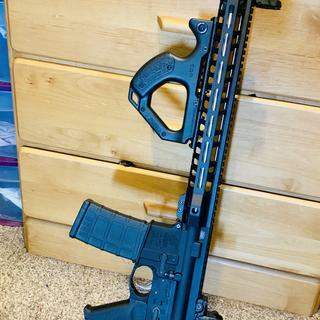 I started with the 10.5" Pistol Kit which is really a great build for the price, then a 16" kit which has also been great and very accurate so I figured to get this kit for the 18" WYLDE all with the same handguard style. 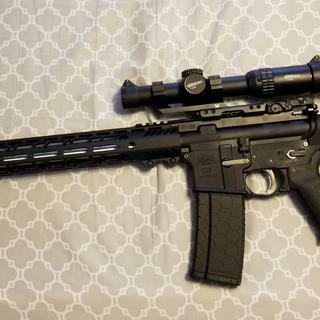 Assembled this with an Anderson stripped lower, took it out back and shot 60 rounds through it with ZERO issues. I would highly recommend this to anyone! I got this build kit to go with an Anderson stripped lower I bought 2 years ago. Lower parts kit was great, even had an extra spring and detent for the pins. Upper cake fully assembled and mated up to the lower nicely. I’ve only had a chance to put 50 rounds through it, but it worked flawlessly. No feed or firing problems. I’m looking forward to get back to an outdoor range to see how the accuracy is. So far, I’m 100% satisfied. Shipping was good too. I received it one week after ordering.